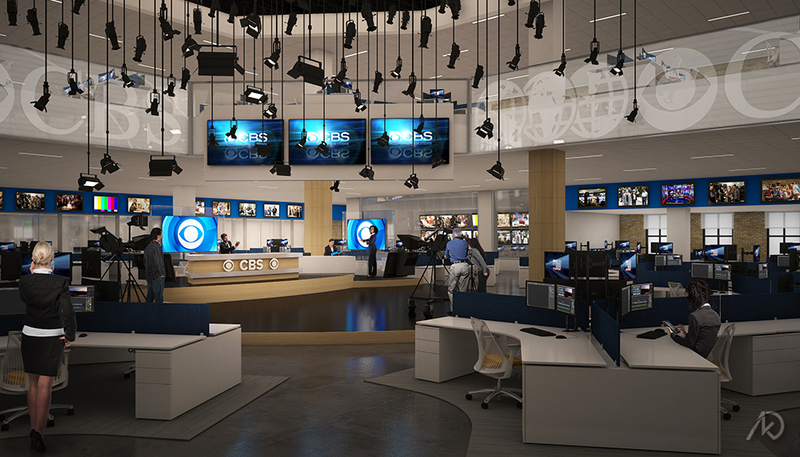 The following 3d illustrations were used as a design development exercise to showcase proposed designs for the CBS headquarters in New York City. 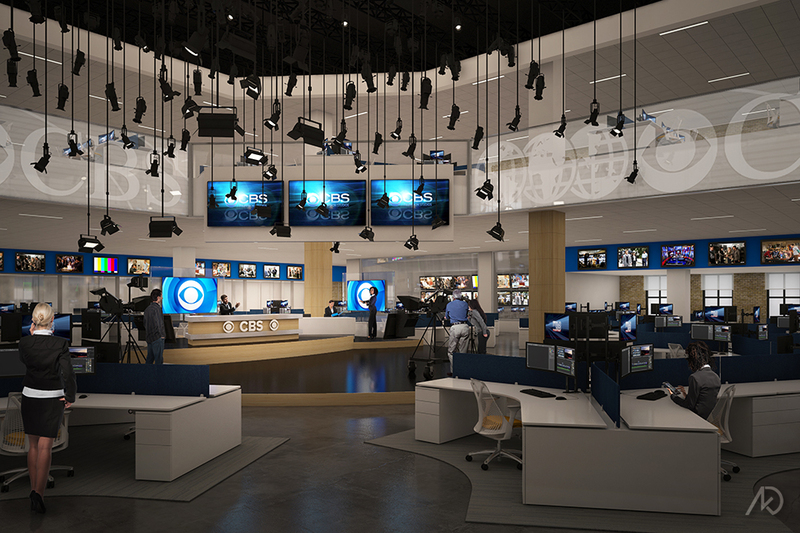 add lighting, post-production, and add entourage. 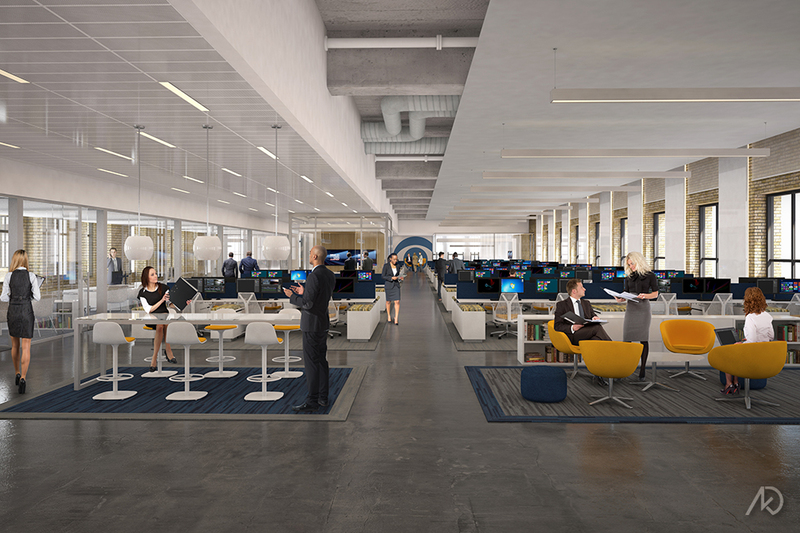 The following images show the studio space on the lower level as well as the main office space on the higher floor.